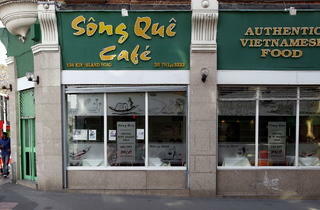 Friends of pho make a beeline for the excellent Vietnamese noodle soups here – always on song at Song Que. 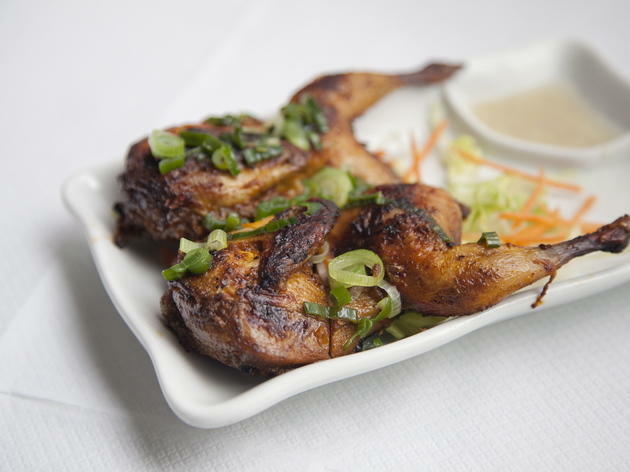 This is still the star of the Kingsland Road Vietnamese scene. Big, light, airy, buzzy (if slightly resembling a school canteen), Song Que is constantly packed with happy customers including many families and a good showing of Vietnamese locals. There’s usually a warm welcome from one of the many staff, who deliver prompt, efficient and friendly service. Food is almost always first class and highly authentic – and good value. Flavours are full and true, and textures perfect, bringing the best out of each dish. Acolytes state that the kitchen makes the best pho in London, which is quite a claim, but the version served here is certainly excellent. Our assorted starters were excellent too, including a skilfully executed cross between a prawn toast and a banh mi: what seemed like a butterflied whole king prawn on a baguette slice beneath the minced prawn mixture – a real texture treat. We experienced just two minor negatives: not automatically getting a change of paper table covering, and having to troop across the room to the cash desk to pay by card. Still, it will be the excellent food that lingers in the memory. Was there last Friday and cannot understand why TimeOut gave this black hole of Hanoi a 5 star review. The waiters were rude, completely oblivious to what was happening around them and one served us dishes of which he didn't know what they were. During the whole time we were there we were treated with the lovely sewage smell of east london. The staff then decided to gas their customers with cheap air refreshener. If you wish to visit this restaurant, I suggest you watch a prison movie first. The way prisoners are served their food and made to eat it resembles the atmosphere of this restaurant. The guy who was in charge of the floor could have easily gotten a role as a sadistic prison guard in a movie. He didn't take any orders but was happy to remind you (in an unpleasant way) of how many minutes you had left to eat whatever grub they served you (and the food was dull grub) Also it would help if they mopped the floor before they opened. We were one of the first diners that evening and the floor was already sticky and dirty. Imagine how their kitchen will be. All in all, an abandoned McDonald's infested with rats has more atmosphere, better food and better staff than this "restaurant". Buzzing little restaurant on the corner of Hoxton Station – went here recently for a friend’s birthday and loved it. The food was tasty and very generous in portion, I had the grilled pork chops for my main and it didn’t disappoint. I would avoid peak hours unless you’re prepared to queue as it does get busy! The staff are super attentive and at no point did we feel rushed despite the growing queue of people waiting to be seated. If you're looking for simple but delicious Vietnamese cuisine, this is the place to go. Have already made plans to return! Have you not been here? You are missing out big time! Quality Exceeds price always. Most of the menu is amazing but il let you know about my favourites. You get a traditional ambient vibe from overhearing old school Vietnamese tape music, along with the beautiful Vietnamese language spoken by the close knit team. I just cant help but relive the memories of eating out in my parents home town of Ho Chi Minh City. My favourite dish is the 'Bun Bo Hue' (Spicy Vietnamese Noodle Soup). Instead of the usual vermicelli noodles I like to swap it for the Pho noodles (flat rice noodles). I find it more tastier, and for some reason I think the Pho noodles absorbs the spicy broth better making it more flavoursome.. Dont forget to add a squeeze of lime and some mint leaves! I also recommend deep fried salt and pepper squid. Classic asian dish served in many asian restaurants. 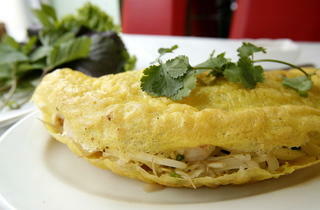 At Song Hue you will receive huge chunks of deep fried squid in nice thin layers of crispy batter. The salt, pepper, chilli, and spring onions fried together is an epic mouth watering combo. Coming from a Vietnamese guy who was born around the corner in Homerton.... I give this place a 5 stars!!!!! 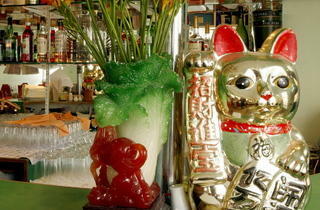 With so many Vietnamese on Kingsland, you've really got to stand out. It's a relaxing venue with basic decor. Compared to the more 'hipster' places, this might provide a better environment for you to stay a tad longer to catch up with friends and not feel like people are staring down your table to get a seat. While the staff were friendly, and the meal was delicious - unfortunately it's missing something to demand a return. Unpretentious, delicious and good value for money! No.60 is still my favourite Vietnamese dish. I order it every time I’m in @songquecafe. The No.60 - Rice vermicelli served with grilled pork, shredded pork & spring rolls. Topped with 2 servings of fish sauce! Yumm! This place does what it says on the tin........it's tasty food, authentic and good value for money. It's not a place to linger or hang out for a romantic dinner and I'd say, on the contrary it's really good for big groups. However now there are many new places on the Vietnamese mile, I can't say this is the best one, just a good one! My friends didn't believe this was Russel Brand's favourite Vietnamese restaurant In London until they saw him leave through the front door the other day. This place is authentic, fast, waiters don't speak good English, there's no waiting queues and the food is absolutely great! It's not a fancy place, this isn't where you come to impress your parents - unless they put great food above service. it's definitely a treasure, considering that not many places in London can serve you food without the usual hour-long waiting queue. This is my favourite Vietnamese on Kingsland road so far. If you go when I did on a busy Saturday or Friday night, expect to wait 15 minutes for a table, as it is really popular. I'd recommend the spring rolls and squid for starter, with the Pho for main. The food here is good value and tasty, exactly what you want. The tables are quite close together and you can sometimes feel a little rushed by the waiters, so don't come here for an intimate date night. 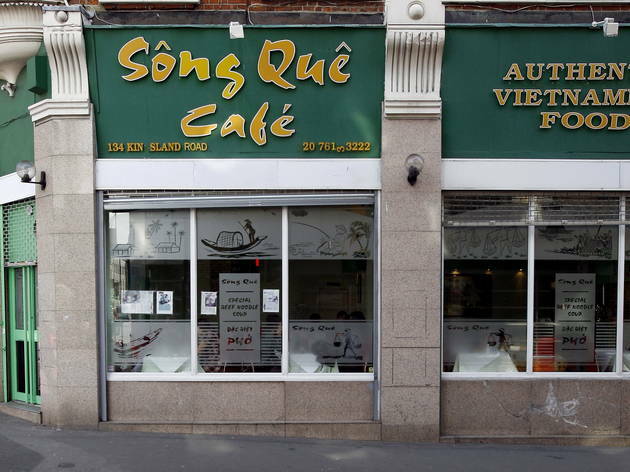 I'd 100% popping in to Song Que if you're after some delicious and authentic Vietnamese food. This is my go to place in Kingsland Road. This place is slightly green in appearance (you’ll see what I mean) but you forget the decor and the slightly prickly staff as soon as you sink your teeth into a fresh summer roll. Starters are always the squid (eat whilst hot otherwise it goes rubbery) and the soft shell crab is a winner. I always order the cold noodles with goat or spring rolls. Be warned, they will always try to usher you out as soon as you’ve finished your last morsel of vietnamese wonder. Its certainly not a place to spend the whole evening. Its conveniently close to the overground and Old Street and Liverpool street tube station is a short walk. They accept card too. Its a strong sturdy place where you know what youre getting. Visits here for our pho cravings - I love the one with everything in it (tendon, rare beef, brisket and all). Tried a few places on this road as it's quite a heaven of Vietnamese restaurants, but thought this one was best in taste/value/space. Always delicious and has never disappointed. I go here every 2 months and have tried every starter on the menu. They also do an absolutely delicious Vietnamese coffee - the perfect way to end your meal. 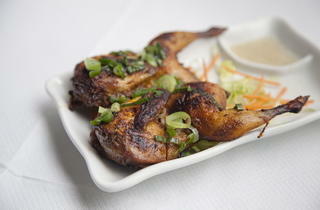 This vietnamese gem in Shoreditch offers authentic great quality food, with good prices and uncomplicated service. Don’t let the tacky decoration fool you, and order a bowl of the house’s delicious pho, a rich broth with noodles, vegetables and meat. 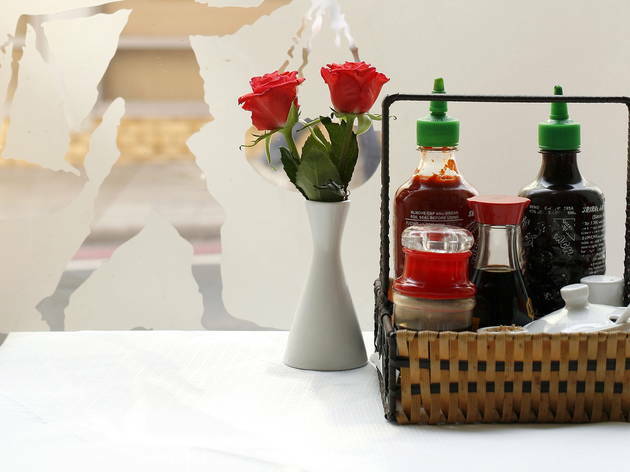 Almost anything is good, and can be spiced up at the table with condiments readly available. A little shabby and don’t expect great service but what you do get is quick and delicious cheap authentic Vietnamese food that hits the spot. I've been here a few times, and the food is always delicious. There's a reason that it's the busiest Vietnamese out of a street of Vietnamese restaurants, and it is often full of people from Vietnam. The waiters, overall, are absolutely awful, slow, and often don't understand simple requests. The Vietnamese spring rolls are delicious. Has this place fallen under new ownership? I simply don't understand how Timeout could be so off the mark with this one. Those are lovely pictures above and I'd love to know where they were taken but certainly not recently at Song Que. The food was truly awful. I would like to be more specific about which dishes were passable and which to avoid but it was very difficult to distinguish between them as all were rather bland and thus tasted alike. Was a real shame to see such a beautiful cuisine destroyed in this fashion. I can only commend them for creating a hype when none should exist. Bravo. The place gave me food poisoning, bad rice I think. I do not really need to add anything more. Non-existent service and rude staff. My companion and I were very disappointed. I live down the road so ordered a takeaway for 2 people. This was easily the worst food I've eaten in a long time. The soft shell crab was inspid , the vietnamese spring rolls mediocre and the beef with crispy noodles slimy and tasteless. The pho was the most disappointing and went directly in the bin. A waste of £28 and I'm still hungry. Very rude staff, appalling service, average food. Look elsewhere. The staff almost depise customers here (if they can be bothered to serve you - and, when they do, they want you out in 5 mins). DREADFUL!!! The waiters were rude and unfriendly, I ordered a pho which tasted bland and my girlfriend one of their pancakes which was very greasy and bland. It's completely overrated and shouldn't be recommended to anyone who likes authentic asian food. I googled cheap eats in kingsland road and this came up. I had been to a two other Vietnamese restaurants in that area and was tempted to go to the trusted viet grill - but then changed our mind. The décor does not look like a typical restaurant and as there were not many people there - we were not sure. We ordered 3 starters to share and as the pancake was so large - we could not fit in a main. 1. spicy deep fried prawns - awesome and tasty. 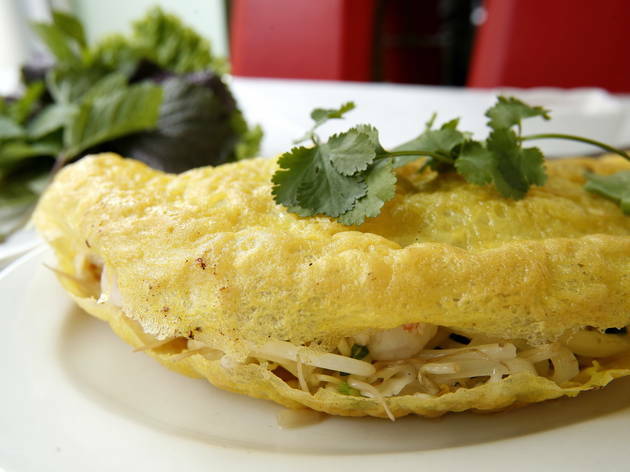 2. chicken and prawn pancake - stuffed with tons of beans sprouts; sounds bland and boring and looks strange - but drizzled with sweet chilli - awesome!!!! Maybe a little large for a starter - but I never really understood people who complained about being served too much food - if you feel yourself getting full - stop eating 3. Lamb chops; oh sweet manna!! Marinated in sweet and sticky sauce of - oh so goodness. Yes, the waiters weren't that polite - although one told me i was beautiful when reapplying my lipstick - but I it makes up for in the quality of food. My food experience; a whole of load awesomeness!!!!! Terrible service! Rude and abrupt staff. Had much better experiences at the other Vietnamese restaurants nearby. Went here yesterday on a whim. We were in the area and asked in a local cafe which was the best Vietnamese restaurant on the street. It was 5pm and the waiters were actually all eating dinner but we needed something to eat. I had the wonton pho, it was a thing of wonder... beautifully balanced fragrant broth, homemade wontons, perfectly cooked noodles. My friend had the grilled catfish soup which was also delicious. In response to the negative comments below, yes, if you go to an authentically Asian restaurant, you're probably going to get authentically Asian service. And when it's busy, standards are much more likely to slip. But this was the best Pho I've had outside Vietnam and I'll be going back. Very rude waitress! Just passed the door and they asked you need to have eaten in 1hour and half! No hello or whatever... Then they seat you on a table just next to someone while the restaurant is half empty!!!! Don't go if you are a couple and have a child, cause they will seat you on a table for two! Will never go again! There are so manu nicer restaurants around where the food and service are amazing. Is time out getting money from the restaurant? It is ugly, bad service and the food is comparable to the dodgiest take away around the corner of my house. The food is incredibly nice, price is also good. The service is not amazing, the place is crazy busy......because the food is good. The food here used to be very good... however, the owners are focussed on $$$ and certainly not customer care. However, none if this seems to stop people coming for a cheap-eat. Be warned though... The staff are very rude and abrupt, telling you to hurry up and wont hesitate to argue with you if they gave you something you didn't order! Yes, the age old "customer is always right" does not apply at Song Que. My verdict: Song Que is "past it" - there are lots of other nice local restaurants which fit budget so go find them! Our experience at this restaurant was one of the worst ever. Our starters (spring rolls and pork wrapped in betel leaves) were decent, even good, but the service was brusque from the very start. Our mains, (vermicelli noodles with stir fried pork and beef) were awful and completely indelible. I signalled our waiter and told him that I could not eat my meal. Glaring down at me he demanded "Why?" I responded the meat seemed old and had a strange taste. "We are busy!" he said. "Meat is fresh!" "Well, I cannot eat it." I said, pushing my untouched bowl in his direction. "You must pay!" he growled. So we paid for the full meal and left, swearing never to return. Total disappointment! In fact, one of biggest culinary letdowns in my memory. Overpriced, fatty and lacking in substance food. My husband will eat almost anything, but he couldn't even finish his spring rolls. Five stars?!! Spring rolls were dripping in fat. Main courses (morning glory in garlic and then tofu) were in some sugary gloop. The rice had no fragrance. Just really bad food and £35 with two beers (no vietnamese beer either). 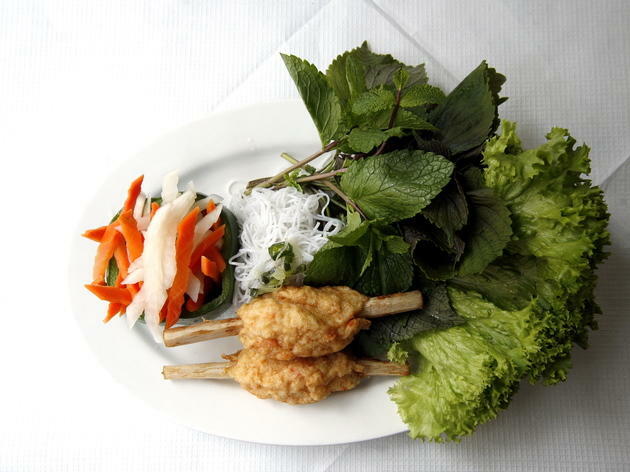 Go to Tre Viet on Mare Street. The food is ten times better. Recommend you avoid this place unless you are extremely hungry / drunk (delete as appropriate). Despite the negative comments, the fact this restaurant is always busy is because the food is tasty. 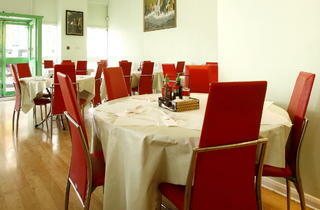 The soups are fragrant and bun noodle dishes flavoursome. This is the closest you will get to authentic pho from Vietnam, however, Song Que is inconsistent. The pho on a Sunday is rubbish. On a Wednesday, its ok. The noodles come raw. Twice in a row, we had to send the noodles back and the staff think you dont know anything about food. The noodles ARE meant to be cooked before they put the stock in. Plus they want to charge you if you ask for herbs when pho is meant to come with herbs. Its a shame that they dont care about loosing returning customers because they are always full and if we stop going, they really couldnt care less. Unfortunately, if you want the real deal, you need to travel to Vietnam. Food was completely tasteless. 'spicy' squid was boring, flavoured with a bit of pepper. Salad inside the summer rolls was brown and slimy. However, anything was better than the noodle soup that had been so highly recommended. It simply tasted like salty dishwater which they had tried to conceal with an overwhelming amount of coriander. Worst meal I have ever had the misfortune of paying for. A most rude girl was serving tonight, definitely will not revisit again despite relatively alright food wise. Dined here in late September. The food was great (spicy squid, summer rolls). The service, while perhaps not exactly the warmest and most welcoming, was perfectly fine. Recommended for its food quality and value for money. A great deal all in all. As a former employee of the local college, I used to regularly visit Song Que and had continued to do so until around 12 months ago, having always been most impressed by the high standard of food at very reasonable prices. For years, I have been recommending it. Not any more after last Friday’s experience. It has obviously grown way too big for its reputedly ‘so popular’ boots! I arrived with a friend at 6.30p.m. when the restaurant was quite empty. We had made no reservation but were told we could not sit at the empty tables by the window but had to take one in the middle in a row of cafe style tables. Menus were delivered and, despite an abundant number of waiters standing around chatting, we eventually had to call one over to place an order. We had not even been asked for our drinks’ order at that stage. No sooner had the starters been brought than the main course dishes were also placed on the table and an ‘eat up, clear off’ mentality was already being established. We were brought the bill - unasked for - before ordering desserts (most of which turned out to be unavailable) and then, at just after 8 p.m., whilst finishing our tea, we were asked if we could leave as people were waiting to come in. The service was perhaps the most contemptuous and rude I have ever experienced in London (or Vietnam). On requesting to speak to the manager, the waiter I had asked told me he was “the manager”. No concern for giving service – but an attitude of ‘three/four sets of diners’ at every table per evening... “sorry, thank you, bye bye”...?? There needs to be a clear sign by the door saying “You are only allowed to stay here for 90 mins. maximum and, please, you should preferably eat up within the hour”. As for the food, the vegetable spring rolls and spicy squid were both excellent; the satay chicken and main course chicken dish average - suffering from the use of ‘cheap, water injected chicken’, I suspect; the sea bream and vegetable dishes both lacked the flavours one would expect from quality Vietnamese food. 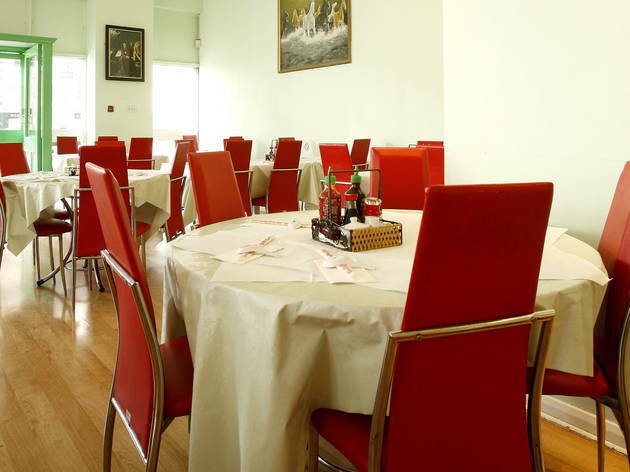 My advice would be to avoid at all costs – and choose somewhere like Que Viet a few doors away where, for approximately the same price, a group of us recently had outstanding food and excellent service in a congenial, relaxed atmosphere. 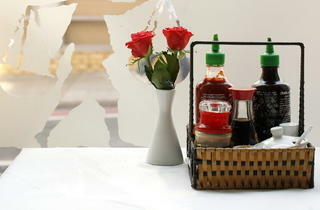 There are, in fact, a substantial number of very welcoming restaurants in “Pho Mile” serving similarly priced food. By-pass Song Que! I've been coming here for years, for what is the best pho, summer rolls, beef in betel, and spicy squid I've tasted west of Hanoi. However the last 3 times I visited the service was so rude and unpleasant-and I dont mean brusque but actually rude, that it has put me and my friends off returning. This has broken my previously unblemished loyalty to song que. It also has to be said that while those dishes i have listed are superb, most of the main courses here are disappointing. I have always ended up feeling sad when I've been tempted to stay away from the pho. It would make my day if Song Que sorted out their service and I could tempt my friends back for another lovely pho. AVOID AVOID AVOID - RUDE Service.... This restaurant is a gem, great food and wont break the bank. However, the service by the front of house 'man' is poor and rude. I asked for a table for 3 people, a friend was on the bus on 10 minutes away. However, the man could not stop asking 'where your friend'.... this went on even when we were seated. We can to order food (friend was still stuck on a bus) and the same guy rudely again said 'wheres your friend' ? 'wheres your friend?' ..... at this point I lost it and called the manager over. I've eaten here a few times now, and I've found the vegetarian food hot, fresh tasting, a little on the salty side, but absolutely fine. It's somewhere I'll come back to if I'm needing some salty, savoury tastiness. I've also had no problem with the service. The staff don't bow and scrape, but they're polite enough and service has always been reasonably quick. You come here for the pho and it's good really good. FACT. Don't bother going if you're going to make a fuss over service, decor or simply good food. This place is a no nonsense, super fast service eatery not a fine dine restaurant. Don't come if you want to lounge around sipping beers with your friends. That's what a bar is for. Anyone one who thinks other wise needs to get their head examined. I'm Vietnamese and I must say this is one of the most unpleasant Viet restaurant I've ever experienced. Our friends and I went for a simple Vietnamese lunch (with rice, braised fish in clay pot and soups). The rice could not be colder than if it is spread on a witch's bossoms while she hang out bare-breast on one of Hanoi's December nights. When the rice came out I immediately feel uneasy about the place. There was a big party at the next table with kids and the place was indeed chaotic so we thought they might be forgiven for that. But then the soup arrived, again cold and sickly, sickly sweet together with some sad-looking pieces of fish of questionable species lies beneath a layer of tapioca starch glaze in the clay pot has done us the coup de grace. Tapioca starch! In a braised fish dish! Can you imagine this blasphemy! Honestly I don't feel the owners and chefs put any efforts into the food at all. 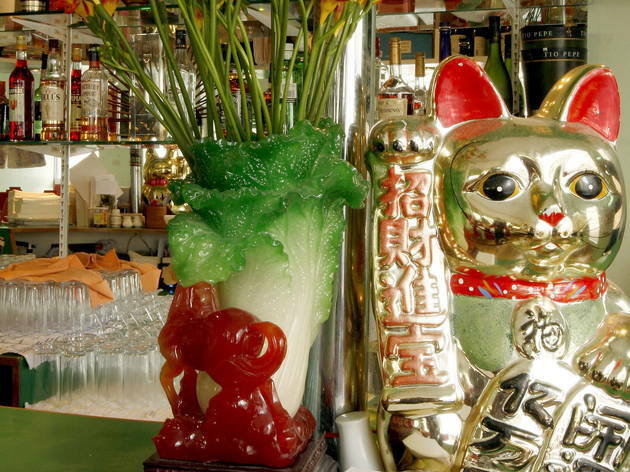 Don't go to this place, even if all you only want non-authentic, pan-Asian fare. There are so many much much nicer Viet restaurants within paces of the area. Don't be the unlucky guy to land in this place, which simply doesn't justify your money. Awful. Simply awful. Perhaps we went on an bad night, but the food was grimly disappointing. The fried monk fish was lacking, particularly in monk fish of which there were three paltry pieces hidden in a sea of onions. The pho was uninspired--lacking the complexity of even the OK competition down the street--and served with wilting mint and soggy bean sprouts. Well, you get the idea. The service was also unpleasant, including plates dropped on the table, multiple incorrect deliveries, and frequent reminders to leave soon. If I'm honest, this still probably deserves two stars, but I'm trying to do something about the ridiculous grade inflation. You get better food at the Pho in Westfield, which is sad.